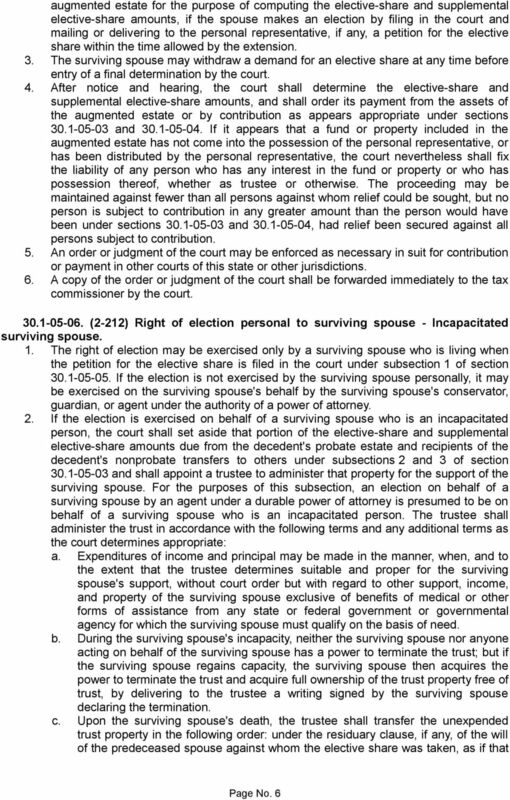 Download "CHAPTER 30.1-05 ELECTIVE SHARE OF SURVIVING SPOUSE"
Minnesota Laws -Wills A will is the most common document used to specify how an estate should be handled after death. 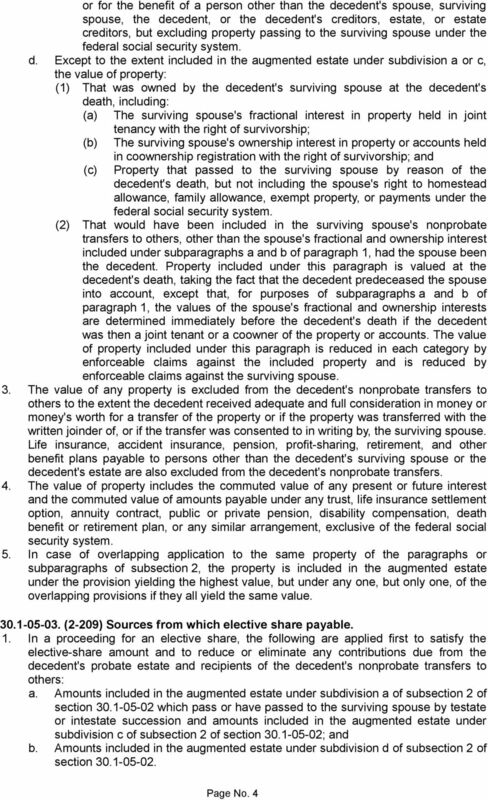 Anyone designated to receive property under a will (or trust) is called a beneficiary. Administrator. 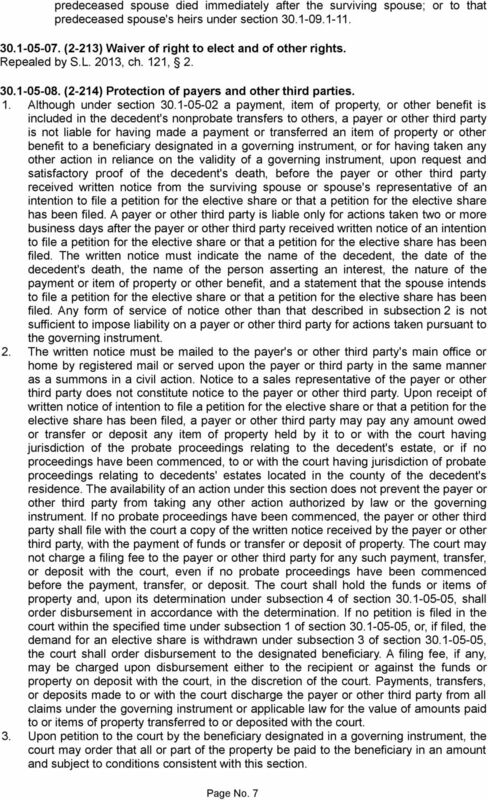 Any person to whom letters of administration have been issued to administer an intestate estate. Chapter 37A. Uniform Principal and Income Act. Article 1. 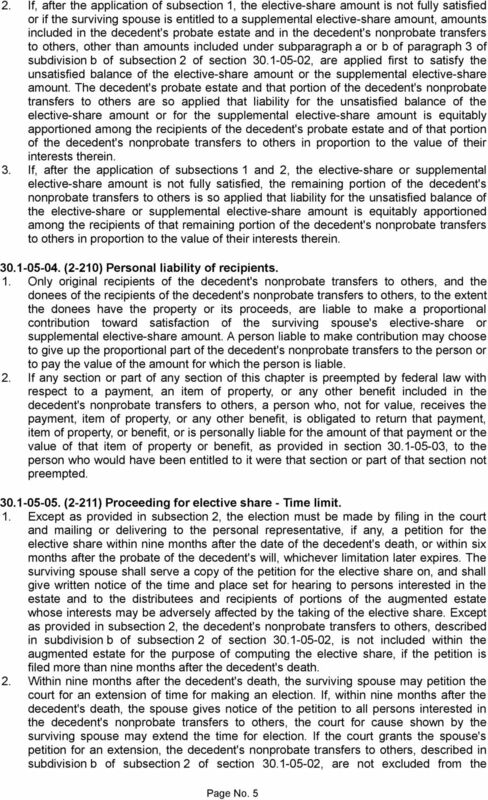 Definitions and Fiduciary Duties; Conversion to Unitrust; Judicial Control of Discretionary Power. Part 1. Definitions. 37A-1-101. Short title. 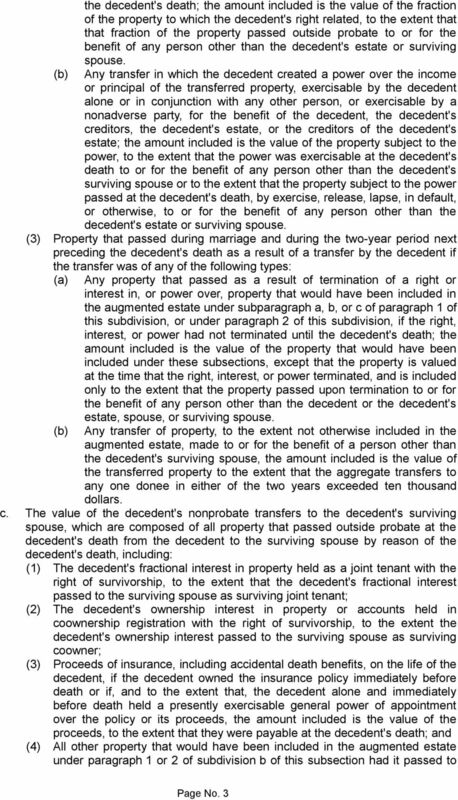 What is a Joint Tenancy? 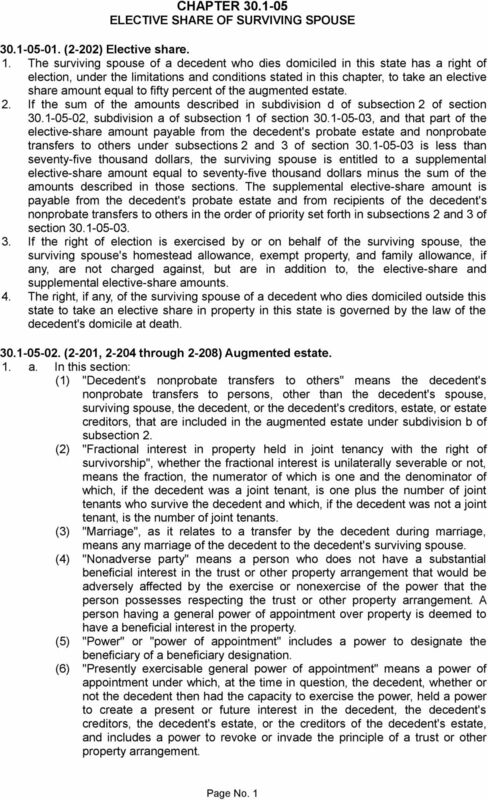 What is a Tenancy in Common? 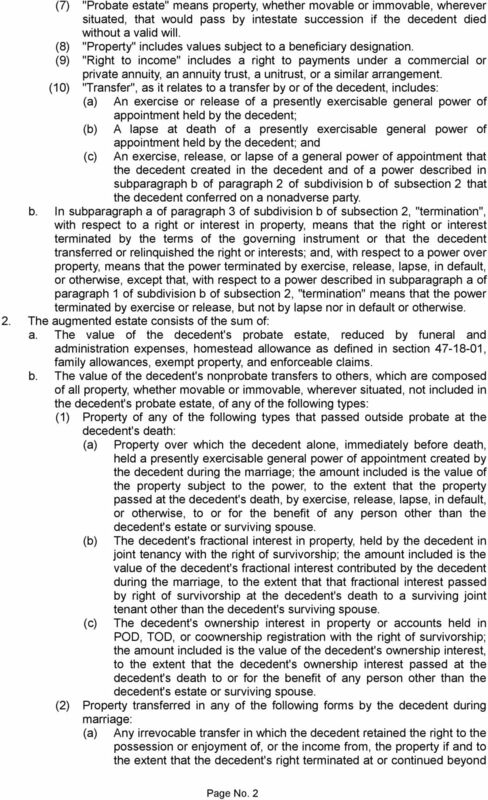 How is a Joint Tenancy Created, and What Property Can Be So Held? FINANCIAL & ESTATE PLANNING ORGANIZER. R.W. Rogé & Company, Inc. The person to whom you give this power is known as your "attorney-in-fact" or "agent." You are known as the "principal."